Supposedly this is the last official week of summer. On my run today in Central Park I noticed a few leaves are already changing colors. My initial thought was the first tree I saw must be dying and then I noticed other trees that were transforming as well. Fall always leads to winter, so I’m not super stoked about the future change in seasons. I am however pretty excited about my fall racing schedule. Next up is the New York Road Runner’s Fifth Avenue Mile. It’s one of the best races out there! I’ve only full out raced it once, so I’m excited to see how things go this year. This race is also fun, because you can stay all day and watch all the different age groups run down 5th Avenue. The first wave of runners take off at 8:30 a.m. and the last wave starts at 1:15pm. The very last two races of the day are for professional athletes only. It’s rare to run a race and also get to cheer! My PR in this race is 6:06, but I’m not confident I can better that this year. However, I plan to try. 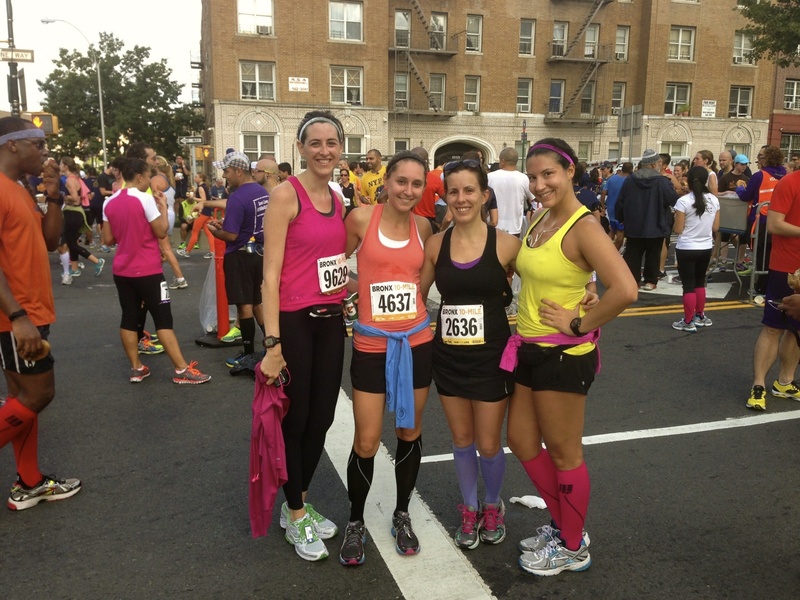 On September 27th I’m racing the Bronx 10-miler. I’ve ran this race twice as a part of a long training run, but this year the plan is to race it. 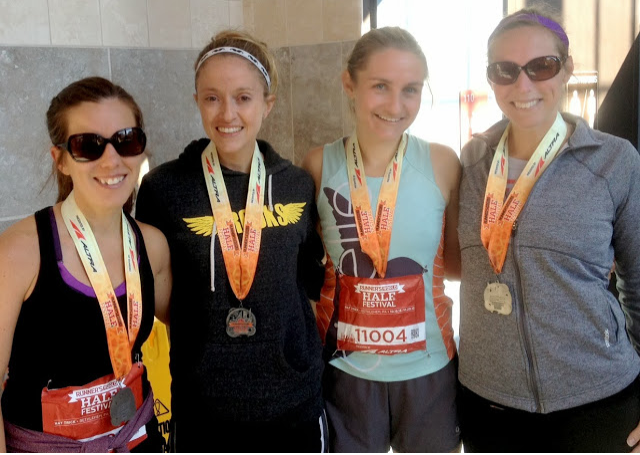 I’ve never raced a 10-miler before! Two weeks later is my goal race of the year. I’ll be running the RnR Brooklyn Half marathon and so will my husband. It will be his very first half marathon. I’m super excited to see him experience a long distance race. Last on my schedule as of right now is the Runner’s World Festival. I’ve had the fortunate luck of being invited by Runner’s World to attend the weekend of events. I absolutely loved all three routes (5k, 10k, 1/2 marathon) in 2013. This year they’ve added a 4.7 mile trail race. I’m registered for all four races. If you live in the NE, it’s worth the trek out to PA for this weekend of festivities! 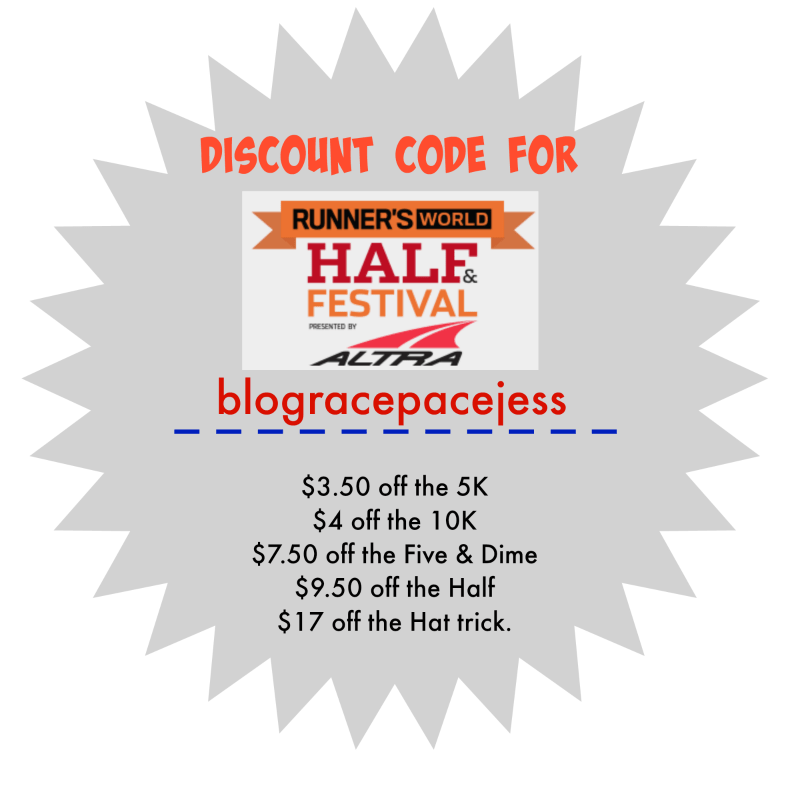 You can register for this race by using the discount code below. I’m so excited for the RW Festival Weekend – such a good time! This makes me miss the city so much! The fifth avenue race sounds like so much fun; I look forward to hearing more!